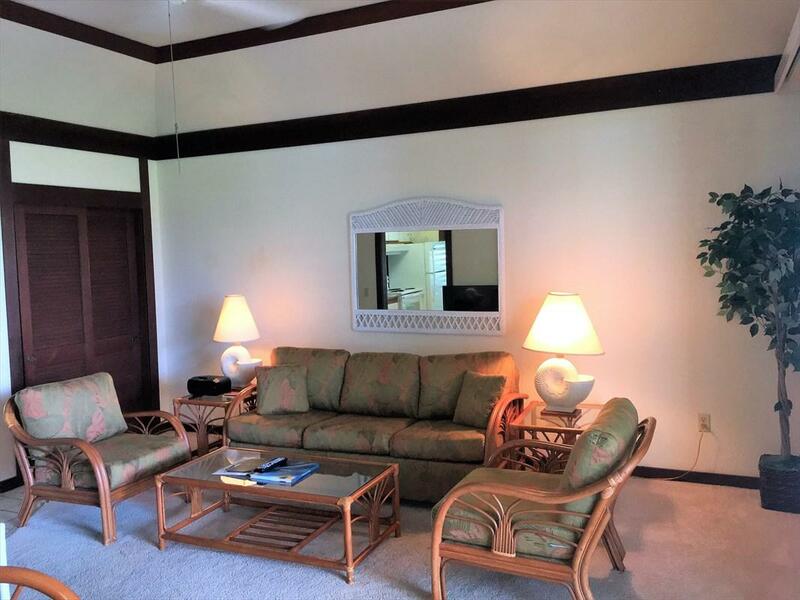 Kiahuna Plantation #169 is a one bedroom, one bath condo, with vaulted ceilings, wood shutters, and has tropical garden and partial ocean views. This ground floor end unit has additional windows allowing for maximum airflow. 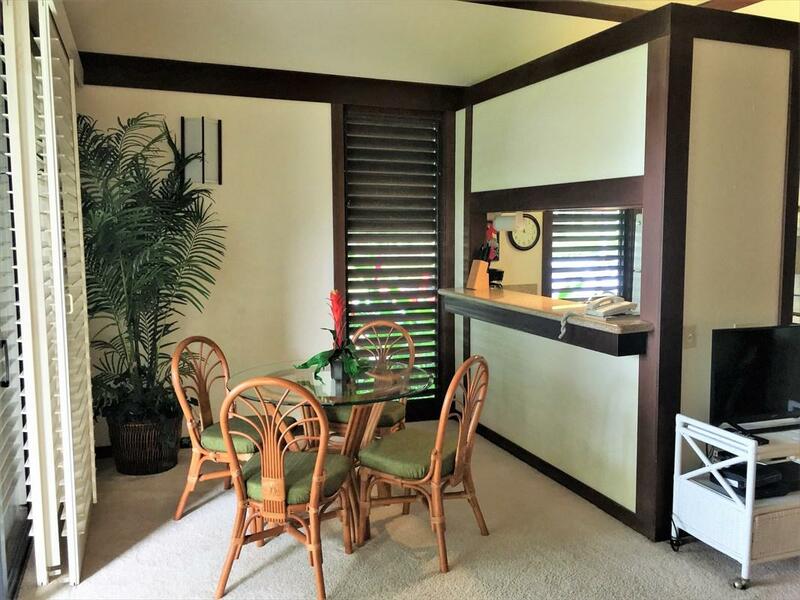 The large lanai allows for you to relax and enjoy your evening meals or a morning cup of coffee. There is a sleeper sofa in living room, accommodating up to four guests. 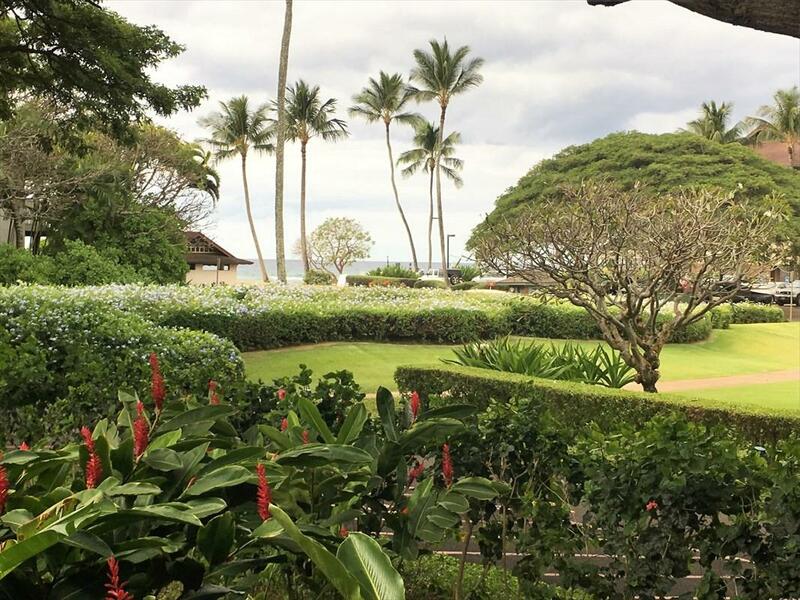 It is just a 2-minute walk to the very popular Kiahuna beach in Poipu.Kiahuna Plantation has beautiful landscaped grounds with a large orchid garden, Koi ponds and includes an onsite restaurant. 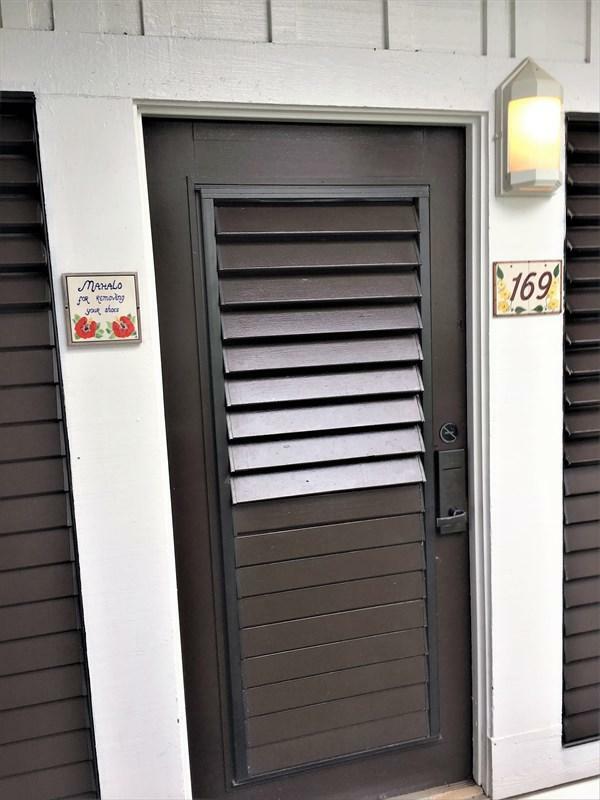 This unit is a busy vacation rental and is completely turnkey. Your association dues include membership to the Poipu Beach Athletic Club with a resort pool, water-slide and spa, tennis & basketball courts, workout facilities, an on-site restaurant which offers pool side service and much more. Onsite community BBQs are just a few steps away.Convenient location with many shops, casual and fine dining restaurants within walking distance. Some of the best snorkeling and surfing on the island is located just a few minutes walk to the beach.